Phenotypes – After providing us with a crash course in genomic sequencing and the workings of RNA and other protein molecules in the first report, JASON argued that the “biomedical research community will be a major consumer of data from an interoperable health data infrastructure”, hence the government “should solicit input from the biomedical research community to ensure that the health data infrastructure meets the needs of researchers”. In the second installment, JASON is reiterating its obviously very strong interest in genotype-phenotype relationships and their assimilation into the IT system they are recommending we build. Luckily, some of the JASON briefers happened to hail from academic centers renowned for grant funded genomic research in general, and efforts to “develop algorithms and methods to convert EHR data into meaningful phenotypes” in particular. In Vivo – I have to admit that compared to run of the mill interoperability papers, which deal with unconscious patients in the ER, or people irritated by having to fill out paper forms, the JASON report is much more interesting. Here is another supercool futuristic development that we absolutely must consider when creating an IT infrastructure to collect data for health related research, which is essentially the main concern of the JASON group. It seems that the Defense Advanced Research Projects Agency (DARPA) is working on in vivo nanoplatforms. Something about “ultra-small scaffolds inserted directly into the body” and “fluorescent nanospheres that are functionalized to detect biomarkers of interest”. The purpose seems to be “continuous physiological monitoring for the warfighter”. 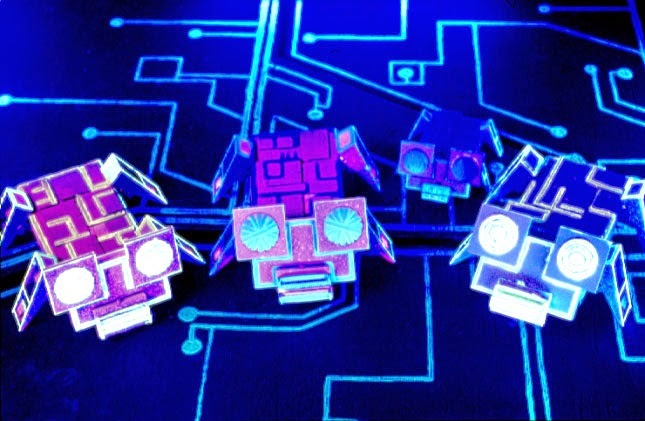 We do of course want to support our troops, so these cute little nanites must also be part of our robust health data infrastructure. FHIR – In this report JASON is taking an unequivocal stand behind a new HL7 standard for clinical information exchange, the Fast Healthcare Interoperability Resources (FHIR), which is actually pretty neat, and has been in development for approximately three years. FHIR is envisioned as a replacement for the C-CDA, which replaced the CCD, which replaced the CCR, which replaced an array of HL7 2.x messages. JASON is recommending that government “policies should make it advantageous for one or more leading EHR vendors to be the first to propose such standards”. Lo and behold, two days after the JASON report was published, a group of leading vendors and institutions, several of which briefed JASON, and some who are helping the government implement JASON’s recommendation, launched the Argonaut Project for precisely this “advantageous” purpose. FDA – For some reason the JASON report is engaging in a lengthy and strangely passionate litigation of the 23andMe (a DNA analysis service) tiff with the Food and Drug Administration (FDA) from a year or so ago, concluding with a recommendation that the FDA should take a “more nuanced approach” to its regulation of apps that could be construed as “practicing medicine”. The FDA regulatory authority over medical software has been in the crosshairs of corporate lobbyists (tech, pharma, telecom, etc.) for a couple of years now, with a variety of bipartisan deregulation bills introduced, or almost introduced, unsuccessfully in Congress. Coincidentally, two days after the publication of the JASON report, Senators Bennet (D-CO) and Hatch (R-UT) introduced the MEDTECH Act, the most serious attempt so far to restrain the FDA’s regulatory abilities.